Sister Healey's Adventure in the Philippines: A brief moment of fame. Maddie's testimony about how scripture study can change your life. A brief moment of fame. Maddie's testimony about how scripture study can change your life. This past Sunday a member of the 70 came and spoke to us! And we sang "Glory to God" in the MTC choir! During the song the camera pans across the choir like in General Conference and uh.. it's no big deal, but I was on the big screen. (Mom I've made it). So that was cool. The food here has been getting old pretty fast. I think the MTC is just trying to prepare us for the strange foods we are going to eat on our missions. Nothing particularly exciting (besides choir and my brief moment of fame) has happened. It's been the same old same old! 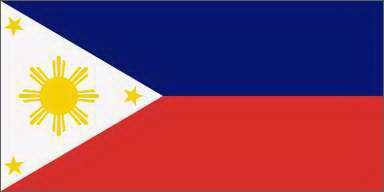 I can't wait till I get to the Philippines! I'm not going to have enough time to write about everything that will happen, it will be so awesome! In gym time I haven't been able to play basketball! It's been such a bummer! Sister Allen doesn't like playing against me because she says I'm too competitive. haha And we are the only two Sister's who actually exercise during our gym time, so I can't find anyone to play with me. But it's ok because we still play volleyball and that's fun. Today I actually spiked on an Elder and all the guys started "oooh"-ing. It was awesome. The language is same old, same old. My vocabulary is slowly increasing. I've been trying to do SYL (Speak Your Language) every day. It's pretty hard, but it helps. We are supposed to speak in Cebuano 24/7 using what we know. It's really Cebuanglish. It's really awesome. Since being here at the MTC my desire to read my scriptures has increased tenfold. 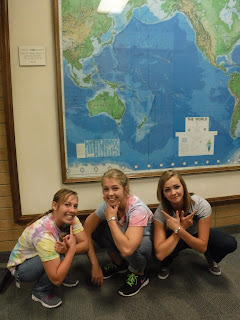 Before my mission, personal scripture study was one of the hardest things for me. And when I would read, I never really got much out of it. It was my own fault really, but since being here and being so immersed and invested in the gospel and God, I just want to read my scriptures all the time! And study the language all the time! And sleep... some of the time... haha I just don't have enough time in the day!!! Anyways, the scriptures really are there to help us. We can best receive personal revelation and answers to our questions through the scriptures. We communicate with God through prayer, and He most often communicates with us through the scriptures and the spirit. We can't just expect God to answer our prayers without us putting in any kind of work. You have to have faith. And faith is action. (James 2:17). We need to have a question, study the scriptures, and then pray and ask God. I know that if we are faithful, pray sincerely, and are patient, then God will answer our prayers. It may not always be in the way we expect, and sometimes the answer isn't the one we want, but He will answer us. (D&C 88:63) "Draw near unto me and I will draw near unto you; seek me diligently and ye shall find me; ask, and ye shall receive; knock, and it shall be opened unto you."